Something which is important to remember is that what seems so tough now, what is stressing you out now, will one day soon be forgotten. That cake you are worrying about eating later today, in a month or 6 months time you wont even remember. That test you are having sleepless nights due to anxiety. A year from now, after doing several other tests they will be long forgotten. That job interwiew you are stressed about, know that there will be more job interviews in the future. All these small daily worries we have, they arent so significant. They just add stress to our lives, take up space, fill our lives with negativity, stress and worry instead of positivity. Of course, there are some moments that change your life, memories that you wont forget and times of worry where it is necessary. That is a different story, but all these small worries and anxieties, especially when it comes to recovery. When you are worried about eating a certain food, worried about a weigh in, worried about your change in routine during travelling.... they are things you shouldnt worry about. 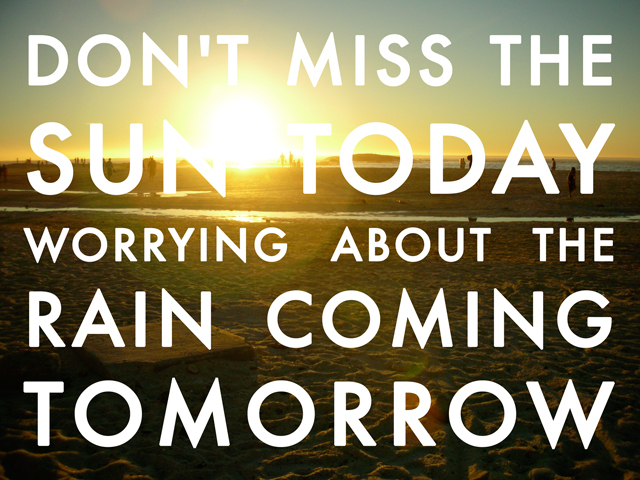 Instead try to stay calm, stay relaxed... these worries will soon be gone.